I’m going to jump into it and just say it, £5,000 in 4 months is not going to happen, especially after this month’s performance. I’m almost embarrassed to say how much I’ve saved but here goes… since the beginning of October I have managed to save a grand total of £38.26. Yep not exactly the £1,250 which was need this month to reach that goal of £5,000, however October was a fairly productive month by all accounts. I have a brand new job which I started today which is on a slightly higher salary than my old job which means hopefully I will be able to save more than £2.92 from my salary. I’ve created a neat looking spreadsheet so I can document all my earnings and spending’s and keep on top of what is actually going out – an attempt to limit impulse purchases! I have started collecting any further loose change in a money box which I am going to open come February (and I know there is roughly around £20 in there currently so hopefully this figure will increase)! I also have a few good leads on a possible part time role doing some hours over the Christmas period! So overall, not a great month in terms of savings however there have been some great revelations which will hopefully see a lot more being saved in the coming months! So it’s finally here, the grand old age of 21. I have had a wonderful day and been spoilt beyond my wildest imagination, maybe growing old isn’t so bad after all! After a fun day yesterday of Halloween games and films, it was an early start today as my excitement took over like the big kid I am! 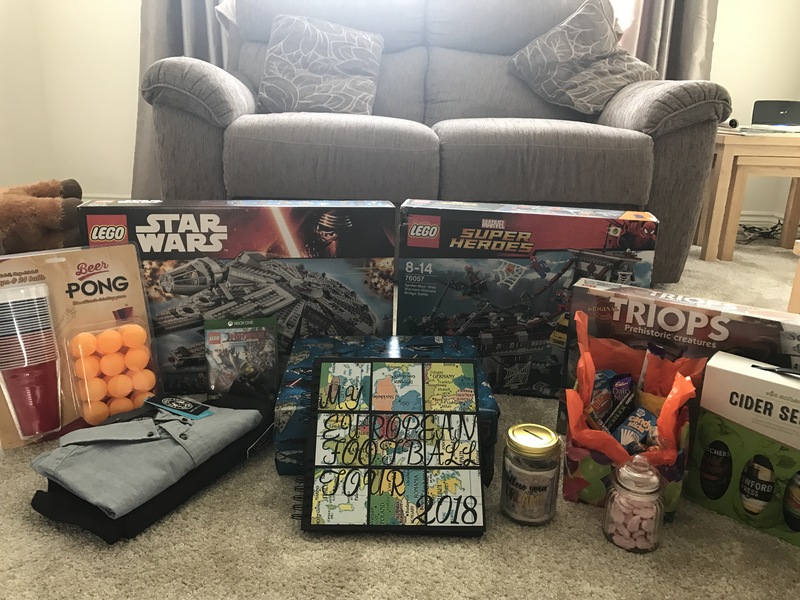 I have been well and truly spoiled my amazing family and girlfriend – I have a trip around Europe next year to look forward to and enough cash to own a Ferrari (at least for an hour or two!). In traditional Charlie Brown style I spent the day playing Laser Quest before having all you can eat pizza for lunch – big kid indeed! I’m off to Dublin tomorrow for 2 nights and the celebrations don’t stop there as I’m having a family/friends party on Saturday night – yep I’m really milking this! So I guess being 21 isn’t so bad after all!